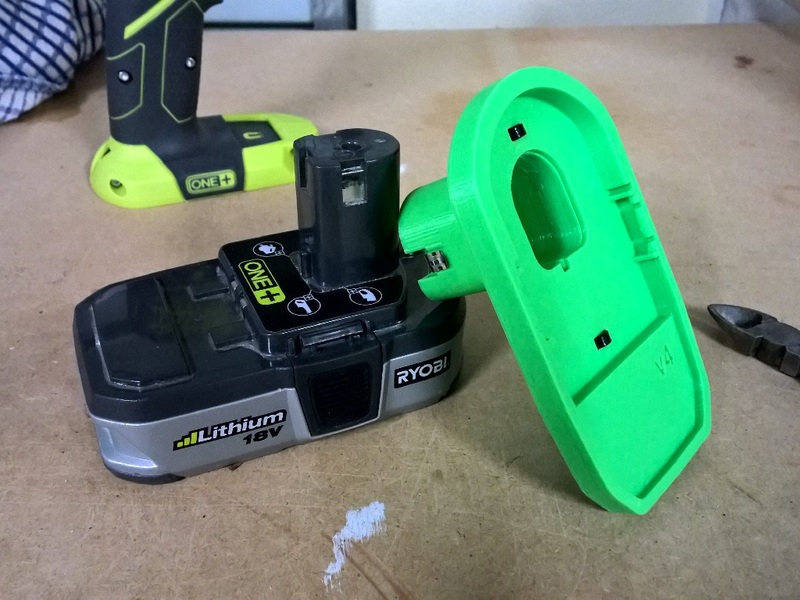 I’ve been working on adapting a Ryobi 18V Lithium battery to replace the batteries in an old respirator. 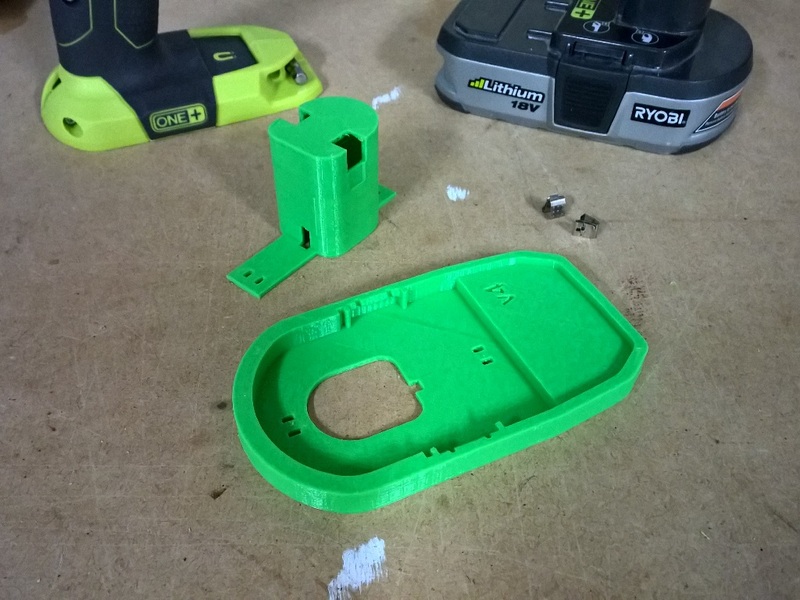 This is a big process and along the way I’ve created the sub-assembly for the Ryobi battery which snaps on just like the Ryobi tools. It prints in two pieces that are attached using cable ties, this allows the print surfaces to work on extrusion printers, like the PrintrBot Simple Metal (which the above was printed on). The cable ties do an amazing job holding it all together, I though I’d need to do a plastic weld in addition, but they are held just right. The metal clips are AAA battery snap on clips that match the power supply perfectly. I found them at Amazon by searching for “AAA N snap-on clip” and found them from www.mouser.com (part #534-204). My next stop will be the attachment to the respirator, but in the meantime, you can modify to start printing your own tools!